Looking to buy a used Club Car Precedent to fix up and want to make is faster without spending a lot of money? 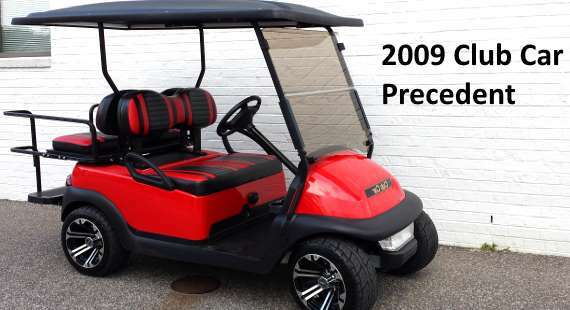 I suggest you go with a 2009 or newer version of Club Car Precedent. 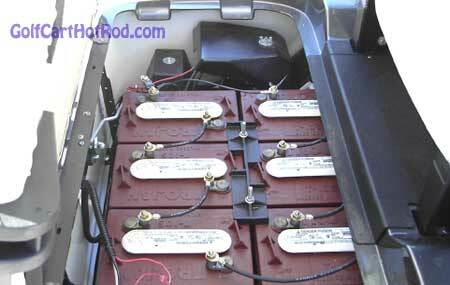 The 2009 and up golf carts come with six 8 volt batteries on board as opposed to four 12 volt batteries. The six 8 volt batteries give you a longer run-time. The batteries tend to last longer before needing to be replaced. 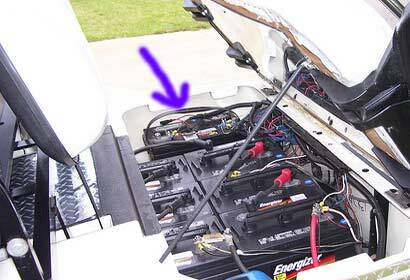 The 2009 and newer Club Car carts come with a stronger electrical controller that can handle motor upgrades better without causing electrical damage. There are two types of Club Car Precedents, an IQ and an Excel system. If you want your golf cart to travel much faster when you go down big hills you have to make turn off the regenerative braking a Club Car. IQ system is simple to bypass. A high speed magnet placed underneath the speed sensor on the motor will eliminate the regenerative braking on the IQ. With the Excel system you have to replace the motor. I hop this helps you decide which Club Car Precedent is best for you if you plan on making a Golf Cart Hot Rod out of one. How can you tell which system you have IQ or Eccel?